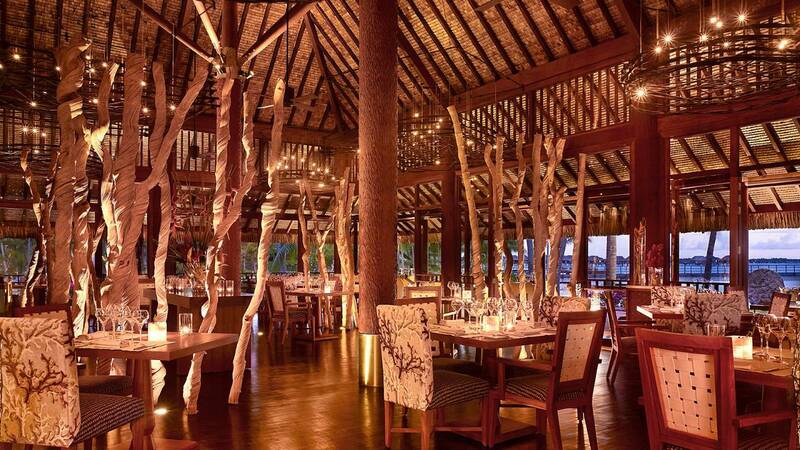 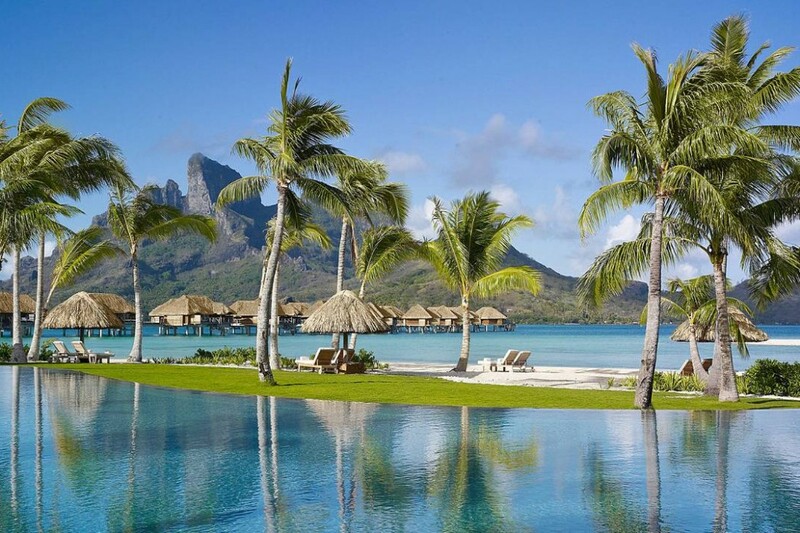 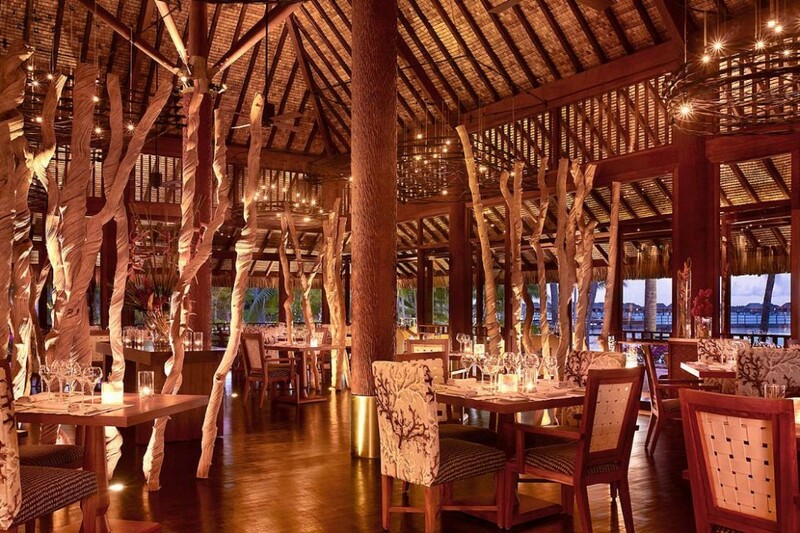 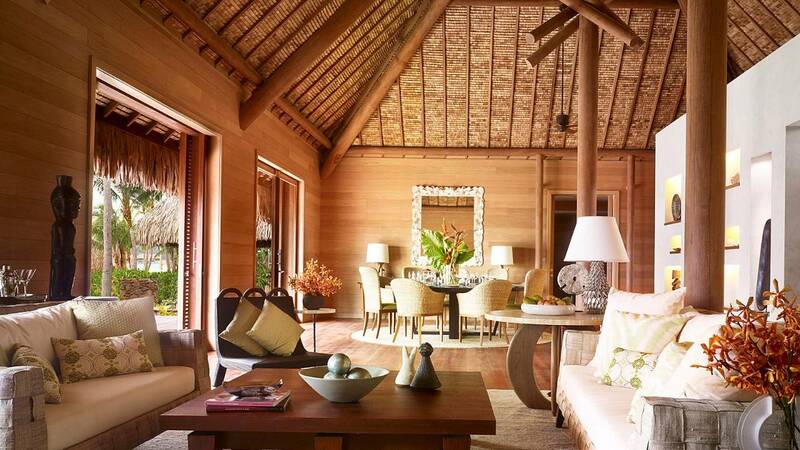 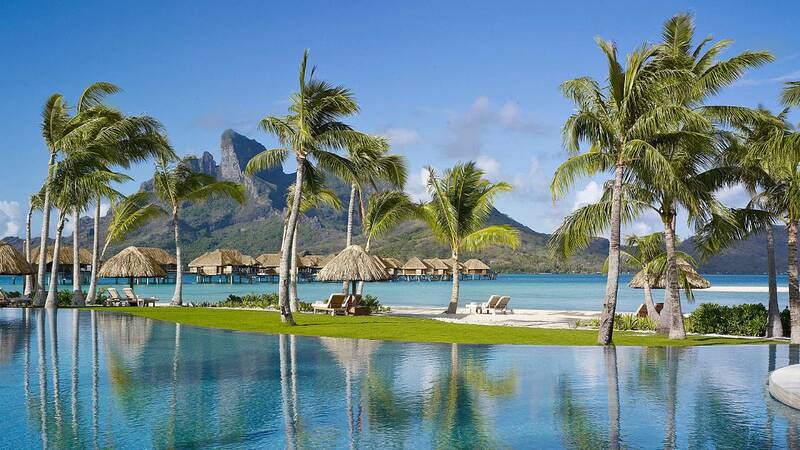 The Four Seasons Resort Bora Bora exudes an effortless luxury. 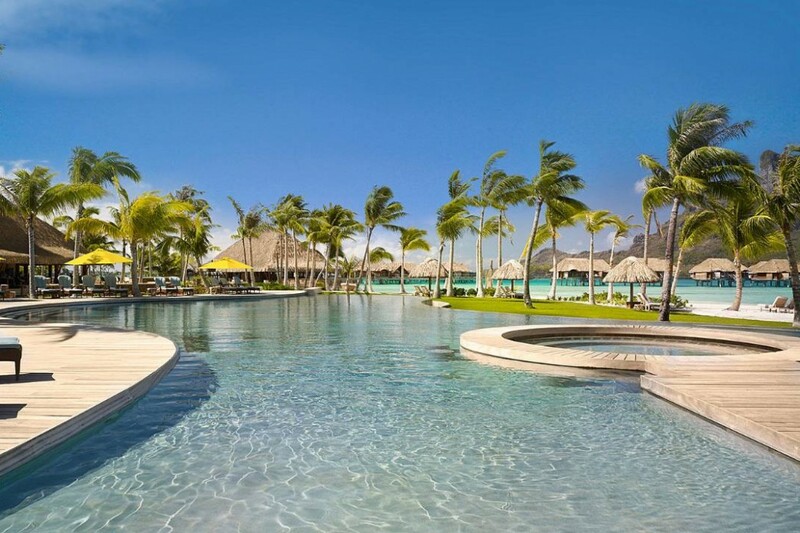 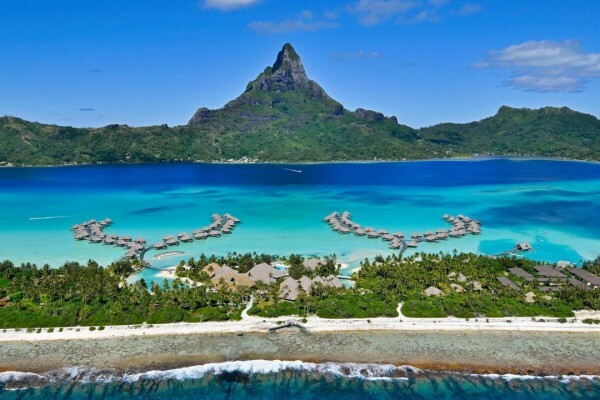 Located on the northeastern side of the island along the outer coral reef, this exclusive enclave is one of the premier resort options in Bora Bora. 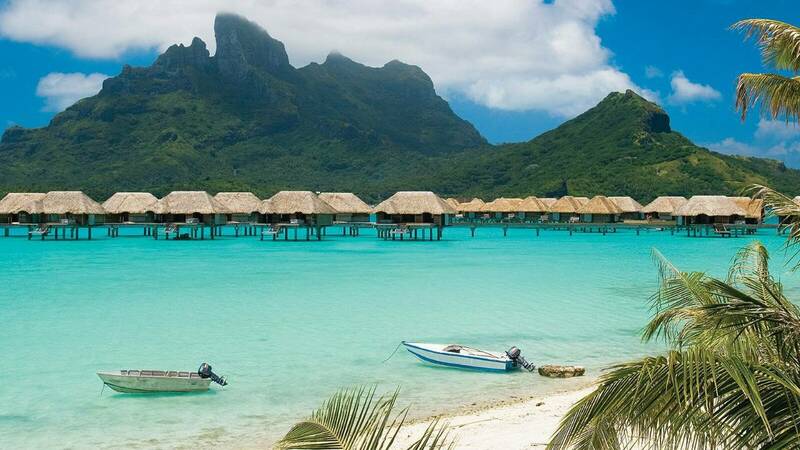 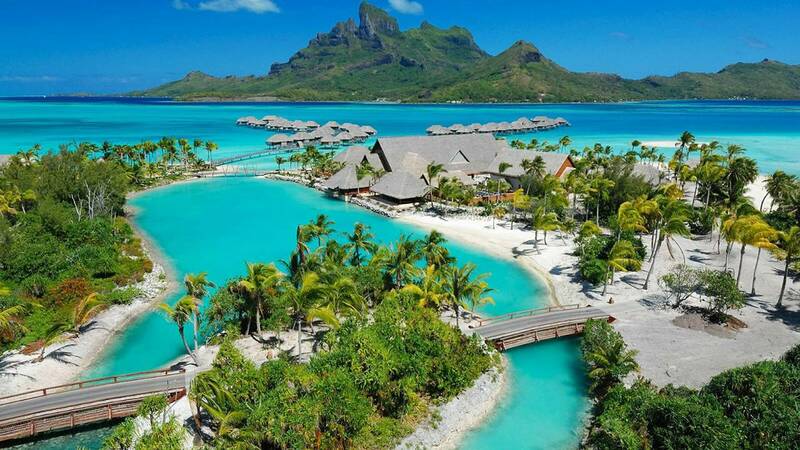 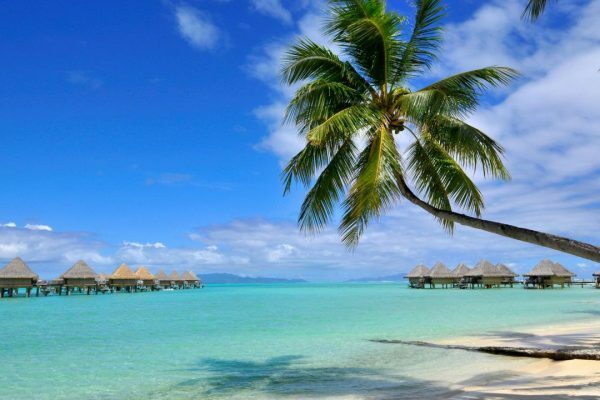 In the South Pacific, Bora Bora – the most famous of French Polynesia’s Leeward Islands and recently awarded the title of “the best island in the world” by U.S. News. 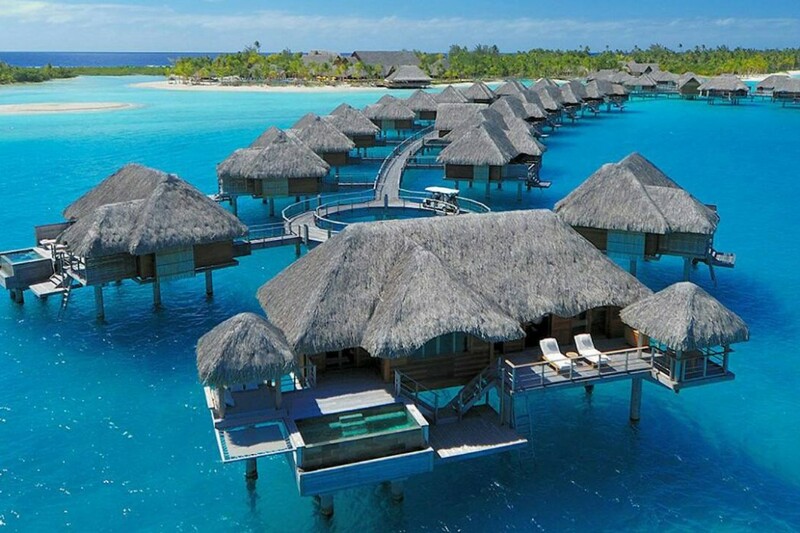 The Four Seasons Resort Bora Bora. 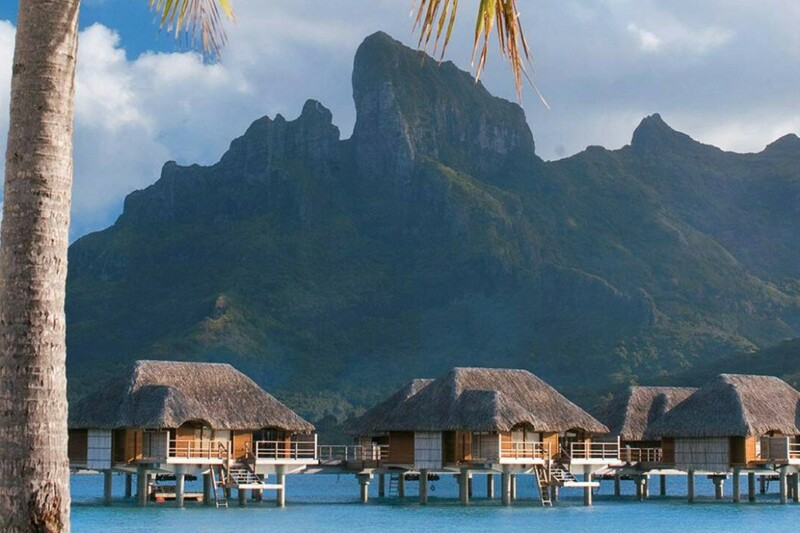 Overlooking the magnificent turquoise waters of a private beach, the Four Seasons Resort Bora Bora features luxurious over-water bungalows and beachfront villas with views of Mount Otemanu. 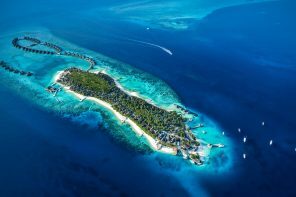 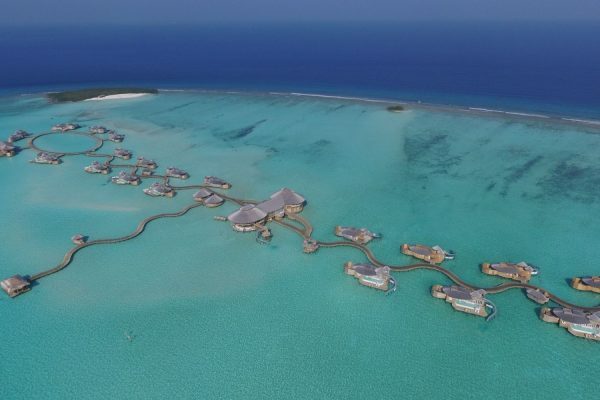 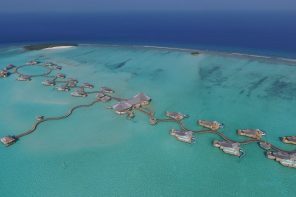 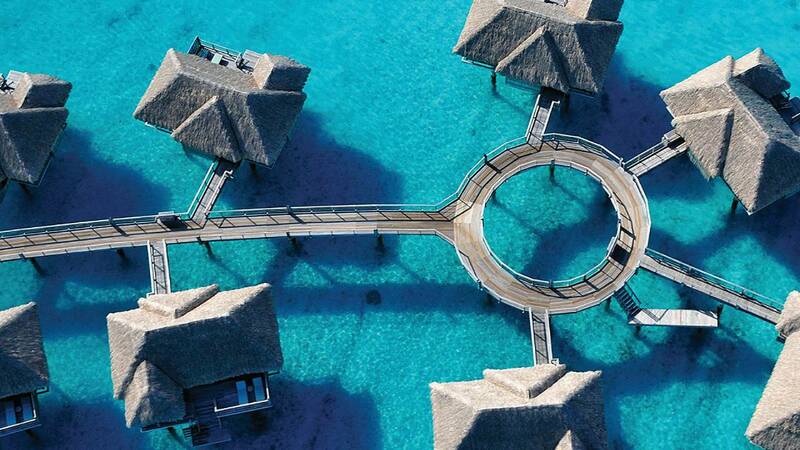 The over-water bungalows are perched on stilts above the turquoise lagoon, while the on-shore villas stretch along a semi-private beach. 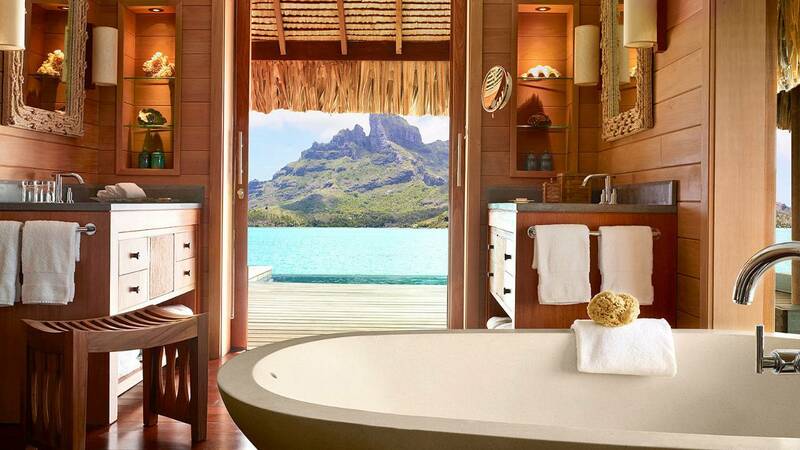 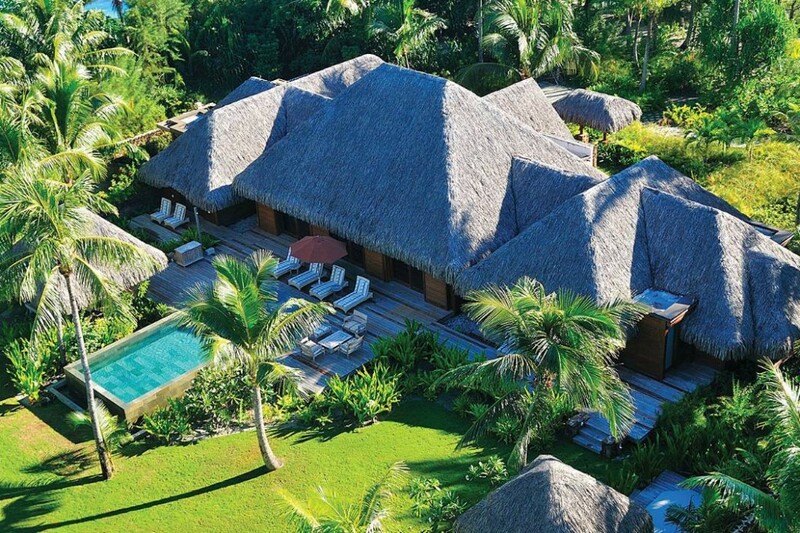 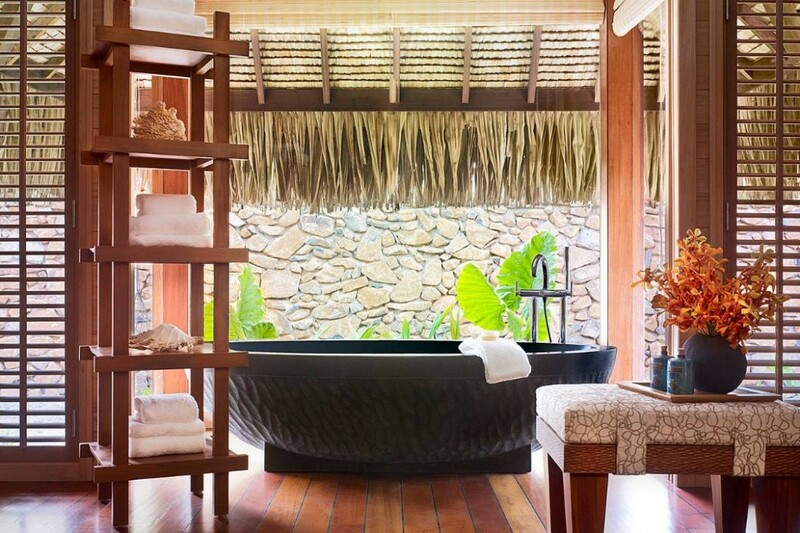 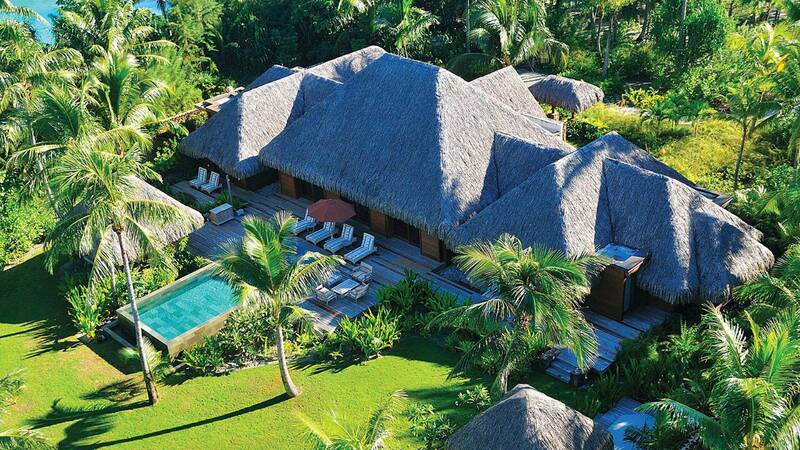 Surrender to the liberating service of a luxury resort unmatched on Bora Bora. 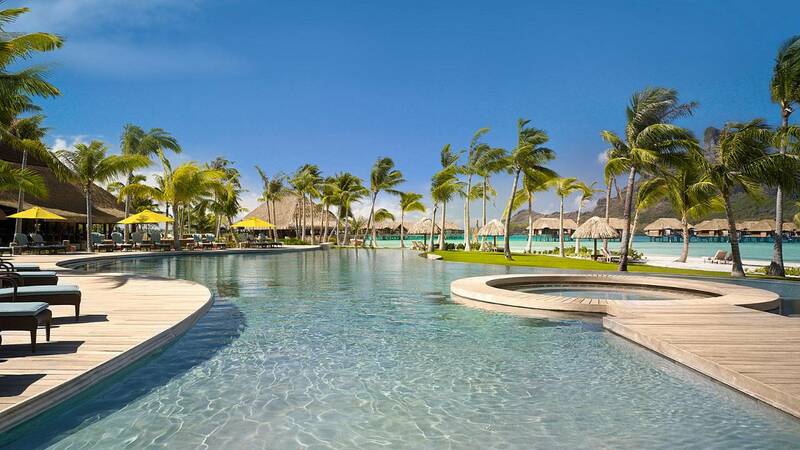 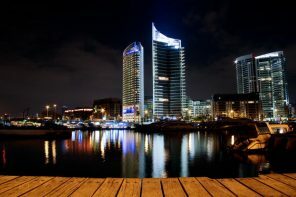 The resort features an infinity pool, a tennis court, watersprt center, diving center, open-air fitness center, tour dessk, shuttle boat service (surcharge), kids club, library. 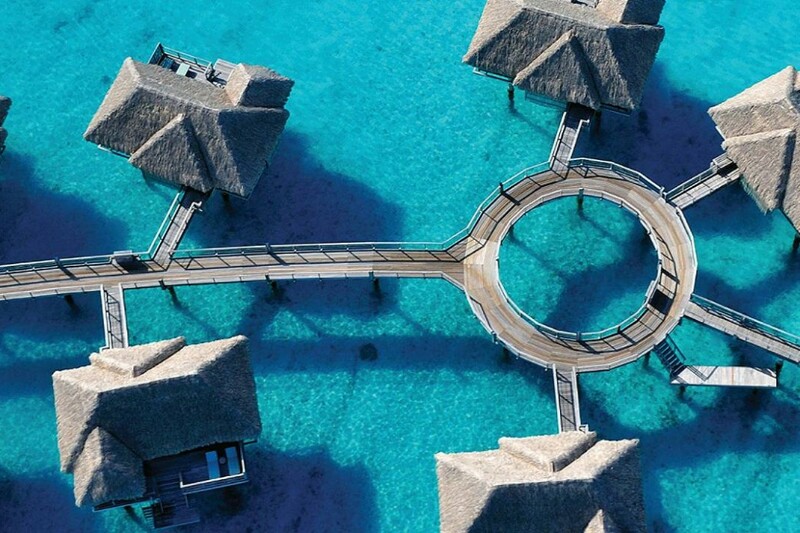 Introduce your family to sea turtles. 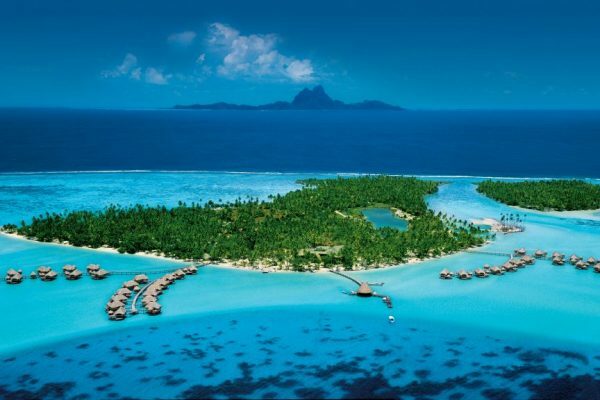 Kite-surf across the impossibly blue lagoon. 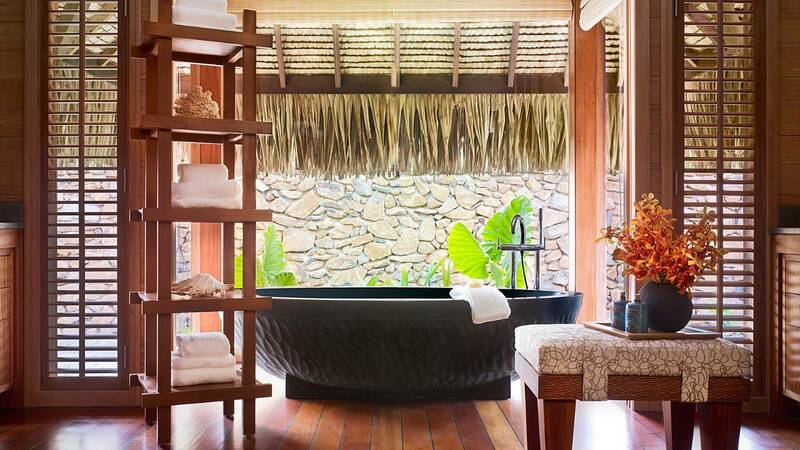 Spirit yourselves away in a spa by the rolling Pacific surf. 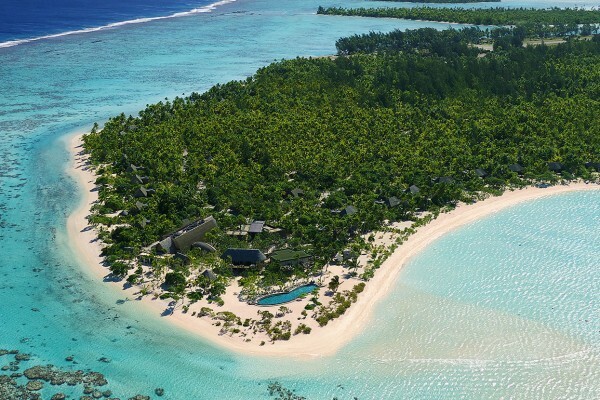 The Resort is home to the Ruahatu Lagoon Sanctuary, a research facility and home to over 100 species of marine life. 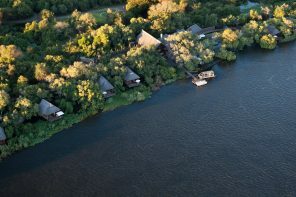 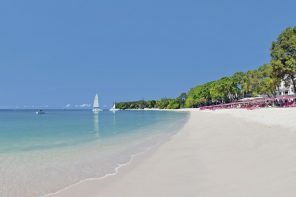 Guests can also enjoy kayaking, catamaran cruises, windsurfing and shark feeding. 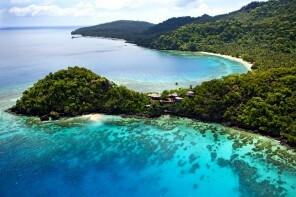 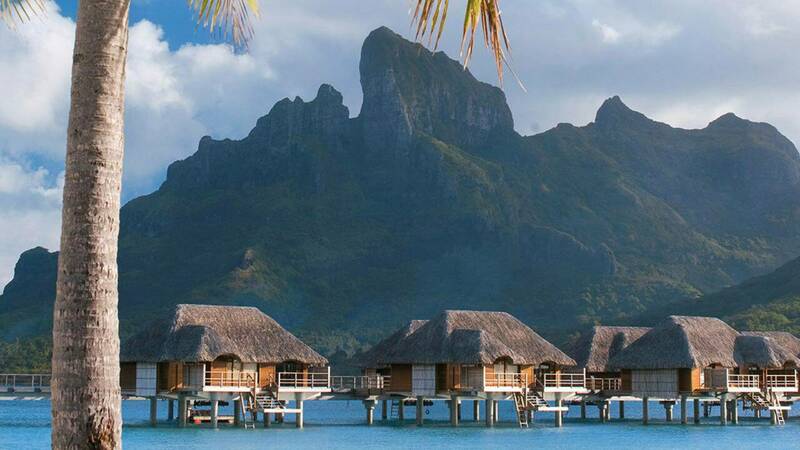 Enjoy views of the turquoise waters and majestic Mount Otemanu. 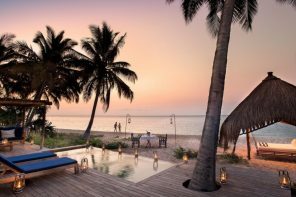 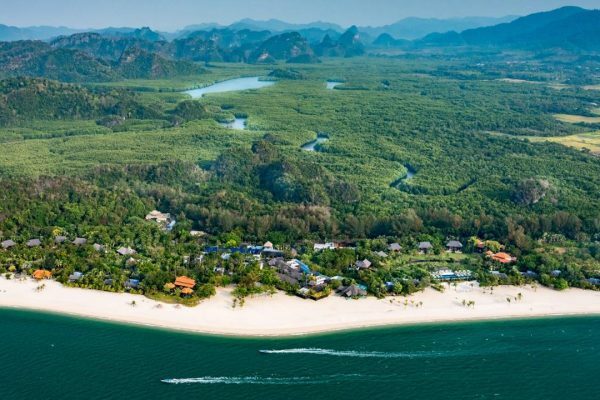 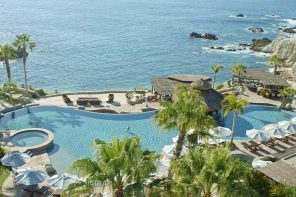 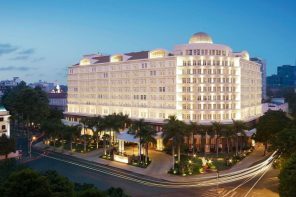 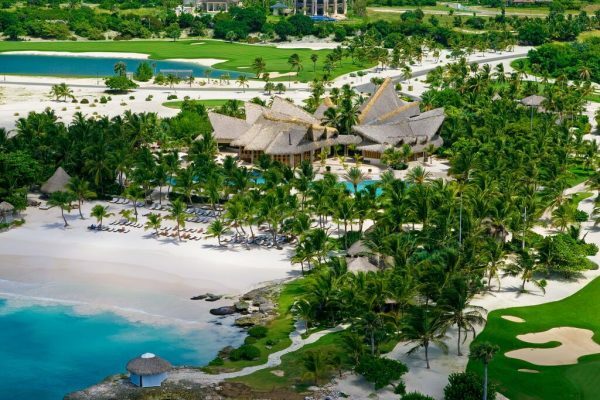 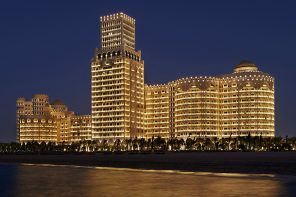 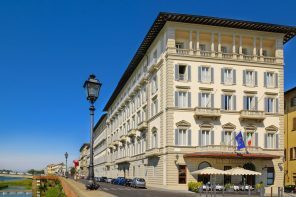 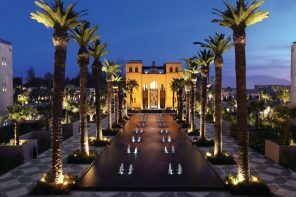 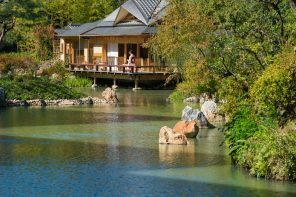 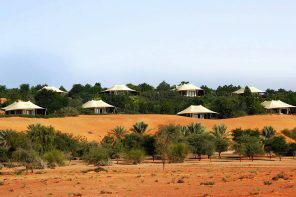 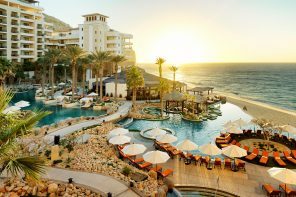 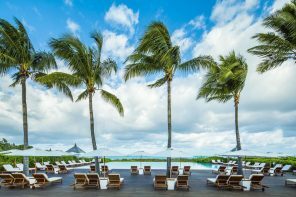 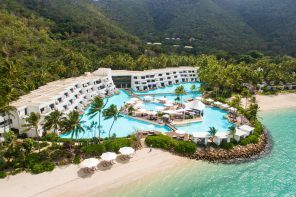 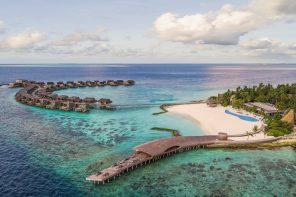 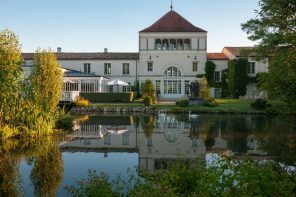 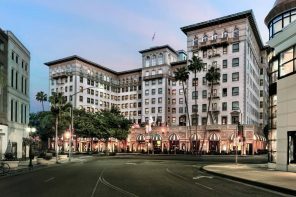 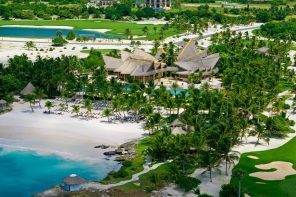 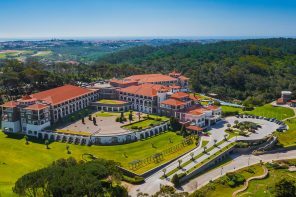 This resort has everything you would expect from the Four Seasons brand, including incredible service, beautiful accommodations and amazing food. 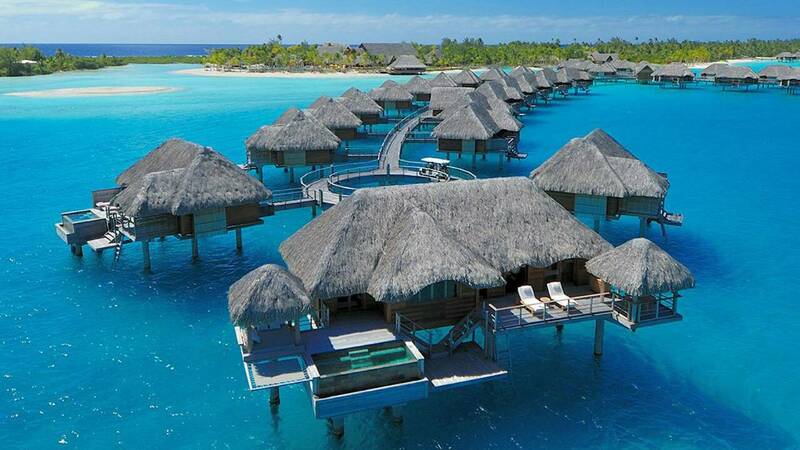 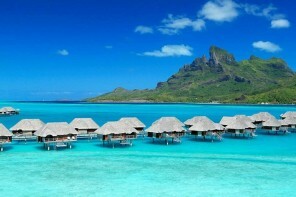 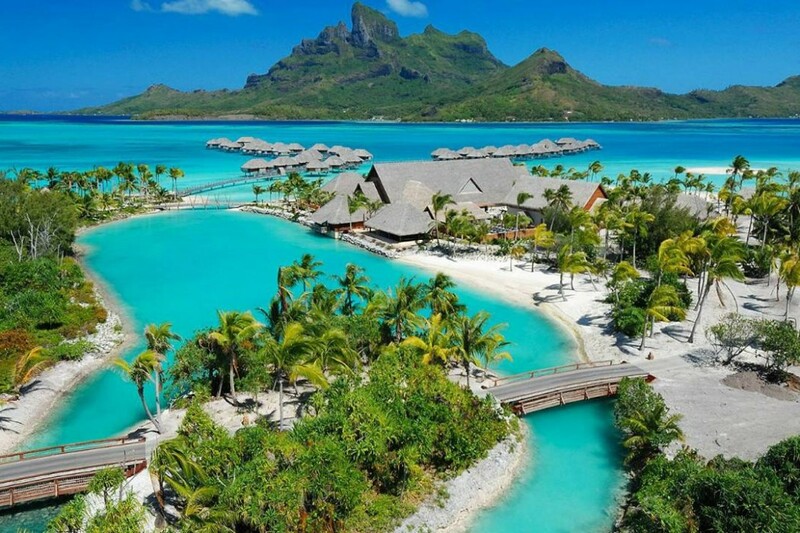 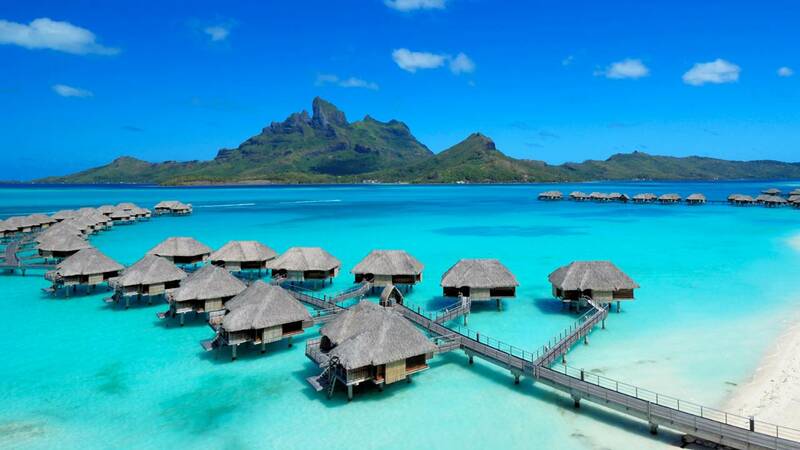 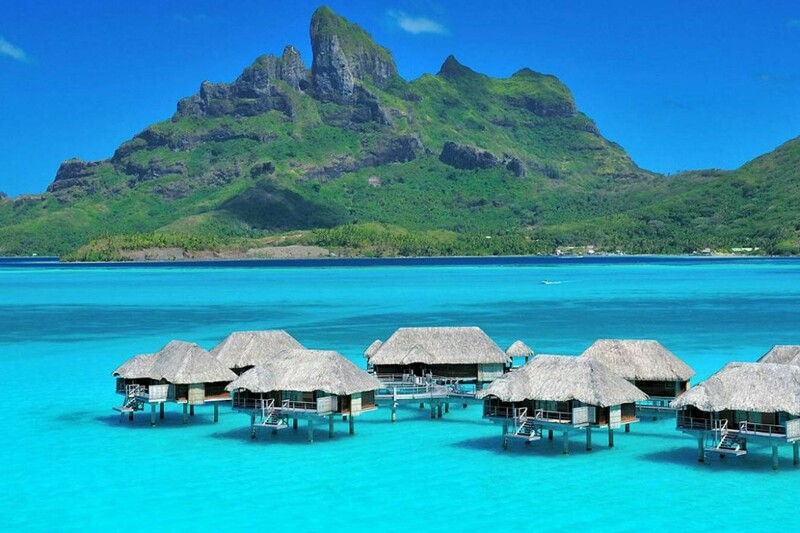 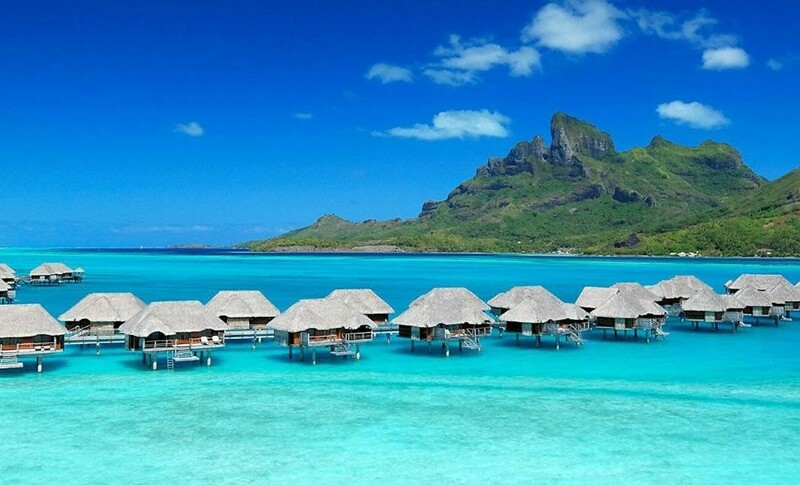 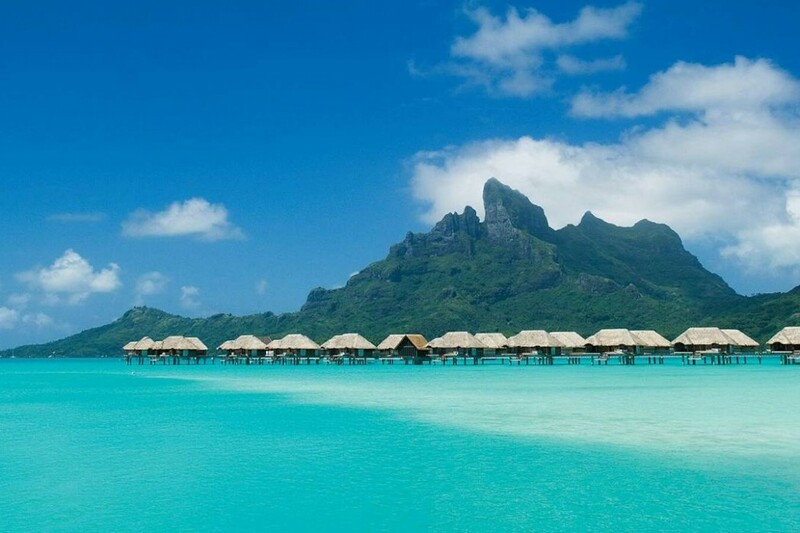 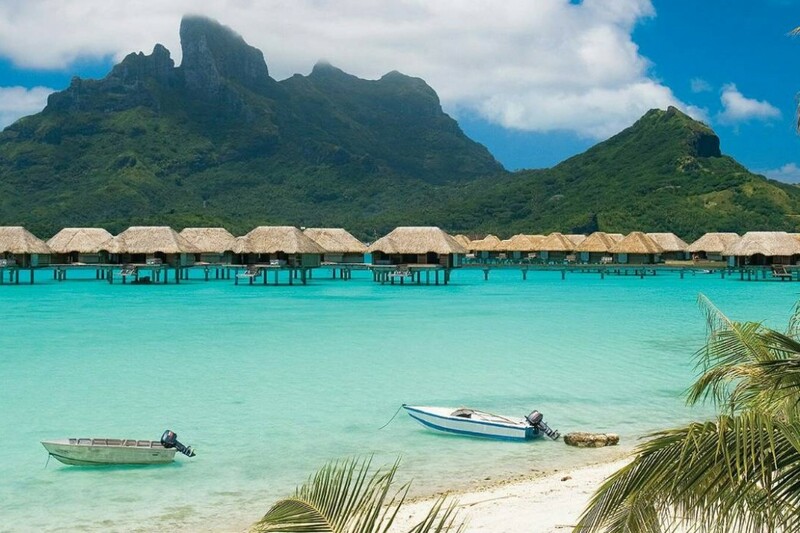 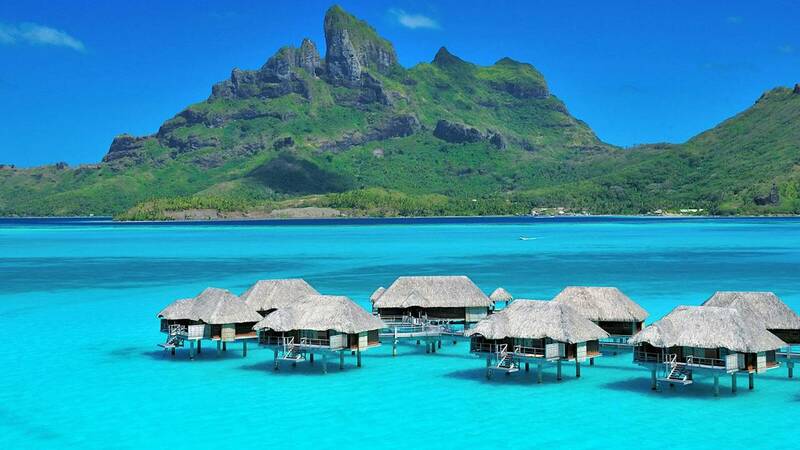 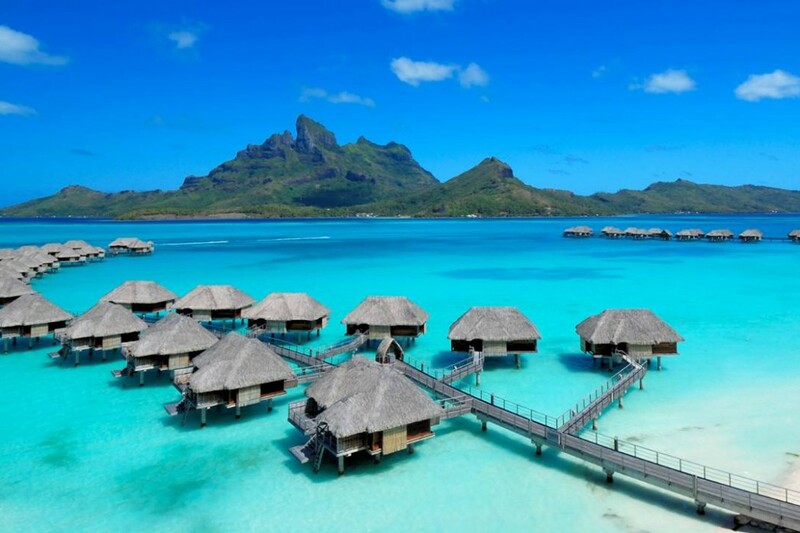 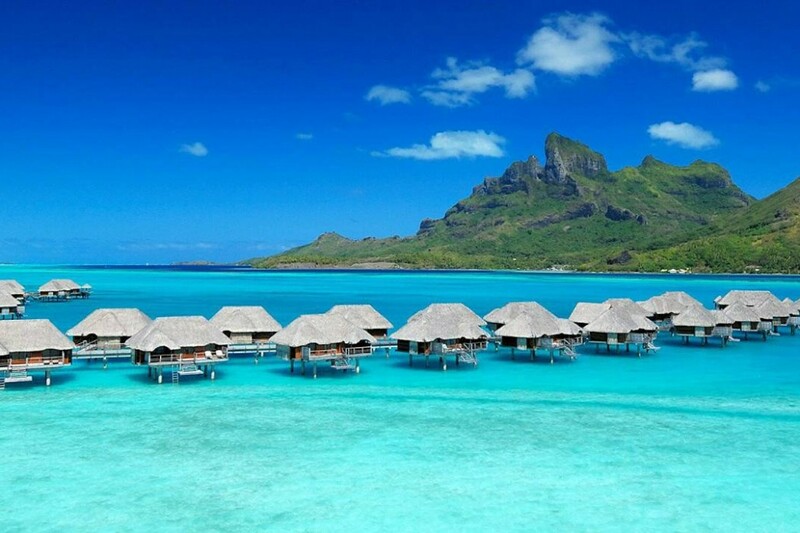 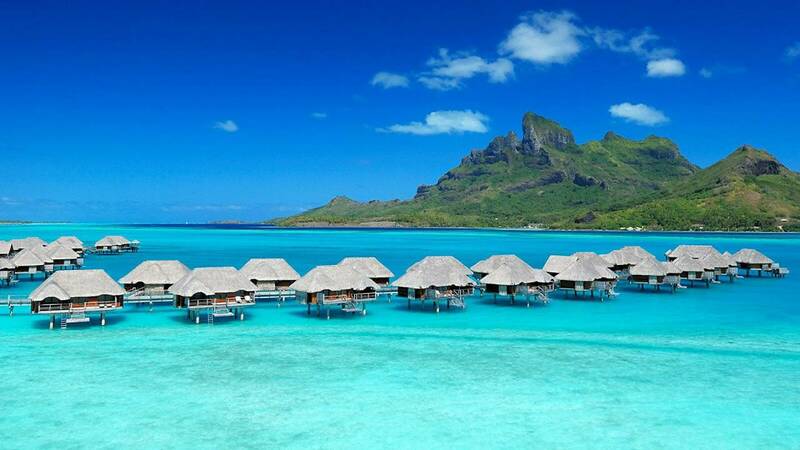 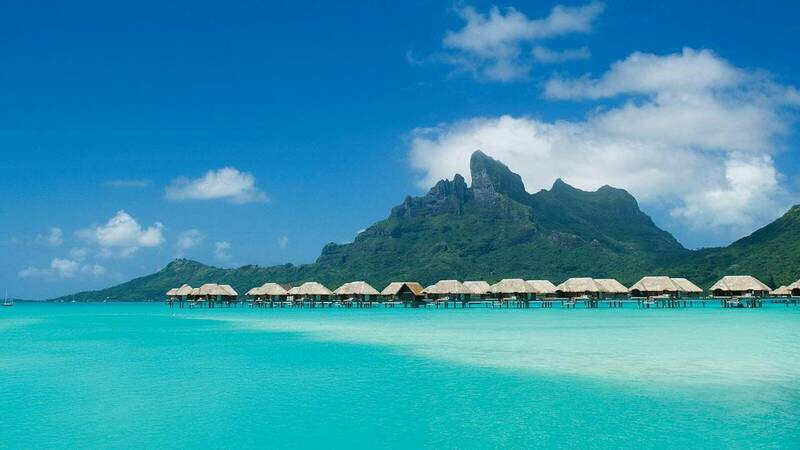 Four Seasons Resort Bora Bora offers 121 spacious hideaways within 100 over-water bungalows and 7 beachfront villas. 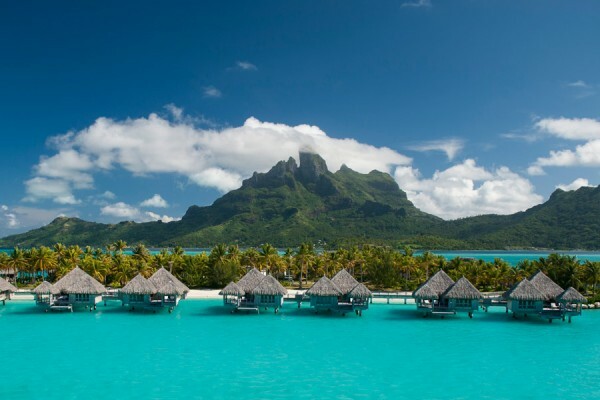 Nestling around the Bora Bora lagoon and its outer beaches, they overlook the lagoon’s turquoise waters and spectacular views of Mount Otemanu. 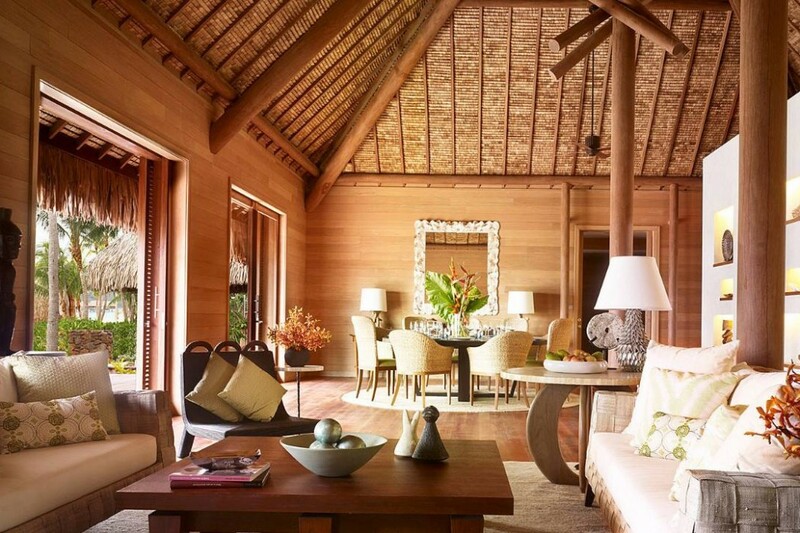 Inspired by local architecture, all guest accommodations offer a restful, airy ambience; complete with traditional teak wood furnishings, high ceilings and thatched roofs made from pandanus leaves. 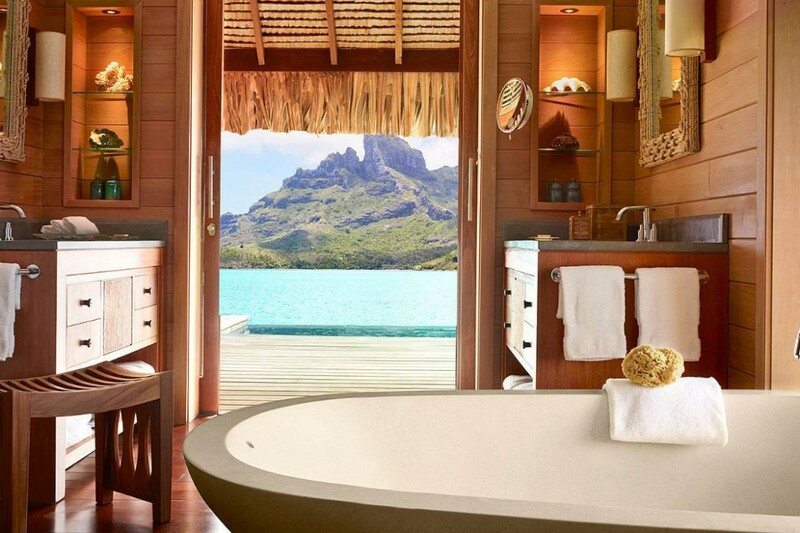 Special touches that accentuate the feel of Polynesia include striking works of art, private pools and sliding doors by deep bathtubs for panoramic fresh-air views of the lagoon.